Pickens County was named for Revolutionary War hero General Andrew Pickens. Before Andrew Pickens came into the area, Pickens County was Cherokee Indian Territory until 1777. It then became part of the Pendleton District. In 1826, the area was divided into two counties, Pickens and Anderson. A portion of Pickens County was later split off to form Oconee County in 1868. Sawmills, gristmills, and a few shops producing were the extend of the area’s industry. When the first modern cotton mill was brought to Cateechee in 1895, it changed the face of the local economy. Its county seat is Pickens. Pickens is a small thriving city in Pickens County that is tucked in the foothills of the Blue Ridge Mountains. The city is located north of Liberty along Highway 178. It is conveniently located to Greenville, I-85, Atlanta, Charlotte and the Appalachian Mountains, and the beaches in the South. Pickens continue to enhance and improve the business climate and quality of life in the county. Different manufacturing and production companies providing products and services including specialty medical devices, hydraulic pumps, automated manufacturing cells, ignition systems found in aircraft are the existing industries. Pickens continue to attract companies from across the globe because it boasts dynamic business environment and skilled workforce. Some of the international companies in Pickens county are Taylormade, Yokohama Industries, Sauer-Danfoss and BASF Clemson Plant. Pickens has many attractions and events for all. Some of the community events that many families enjoy are the Annual Banquet, Founders Day Music Festival, A Pickens Christmas, musical entertainment at the Amphitheater, Cruise-In and Music on the Main series, Fourth of July Celebration, and many nature and outdoor events. Pickens also boasts many local restaurants, unique shops, and farmers market. Pickens and the rest of the county is a great friendly place where people are happy to chat about local artists, news, and events over dinner. Enjoy visual arts and crafts at artist’s studios and galleries, see classic collections at historic sites or take a stroll through downtown Pickens. There are also plenty of outdoor opportunities in Pickens from the shores of Lake Hartwell, Table Rock to the Jocassee Gorges. Fishing, trekking, exploring flora and fauna, kayaking, biking, and having picnics are some of the fun activities for all ages. Plus, Pickens also boasts some of the best golf courses in the states. 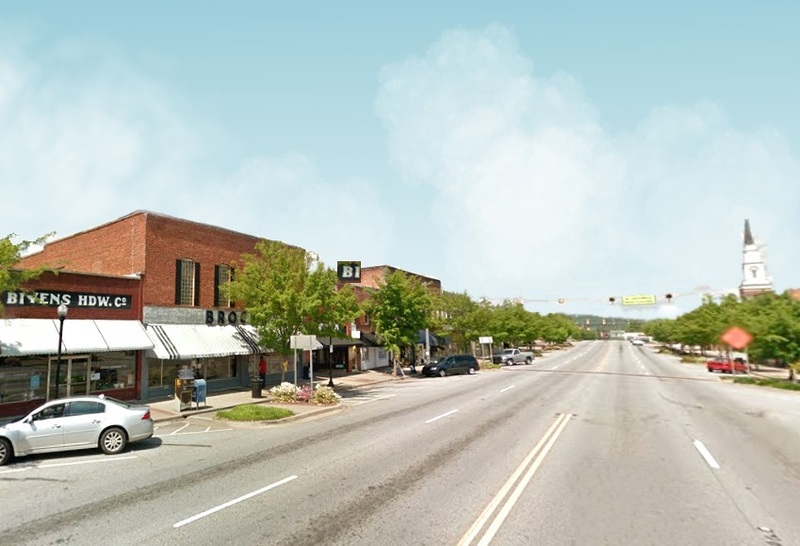 Pickens has maintained the charming small-town feel, family orientation, friendliness, and economic growth that have resulted in heavy migration to the area. With its close proximity to the scenic Blue Ridge Mountains, many find living in Pickens attractive because of its good climate, industrial opportunity, proximity to employment opportunities in Greenville and surrounding cities. The real estate in Pickens has become more popular because of its proximity to the scenic mountains of Table Rock and Sassafras Mountain. It is also close to Lake Keowee, Greenville, and other bigger cities. Pickens SC offers a quality lifestyle and affordable homes for everyone. Many residents and visitors find a wide array of interesting, fun, and exciting activities. Pickens SC real estate has a median price range of around $100,000. Home prices range from low $80,000 up to a $2 million. There are plenty of choices to consider when relocating or buying a home in Pickens, buyers can choose from downtown historic homes, homes with larger lots, new homes, and rural homes with mountain views. Families, professionals, and retirees looking for Pickens real estate can choose from a range of amenities including award-winning golf courses, swimming pools, and other sports amenities. Pickens, SC public schools are part of Pickens 01 School District. One of the popular and best schools in the area is Ambler Elementary School which has a rating of 9. Click here to see all Schools in Pickens County.